The death of Tony Robinson, and of so many others in Ferguson, Tulsa, North Charleston, Staten Island, Cleveland, and Baltimore raises highly disturbing questions of racial disparities in the United States. For those of us who work with young children we may ask what can I do to help? Childcare teacher Emily Sonnemann wrote the following reflection shortly after the police shooting of Tony Robinson on March 6, 2015 in Madison, Wisconsin. What do you do when an unarmed black teenager is shot and killed in your neighborhood? With sounds of protest drifting in the wind and down the street to my house, I am left wondering how a white childcare provider and mother of young children moves forward. I can stand in solidarity. 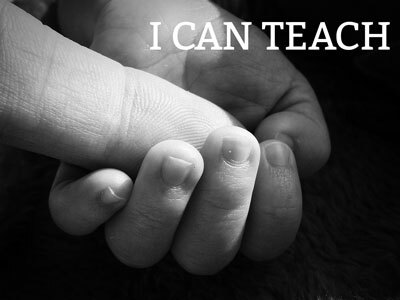 I can teach love, peace, justice and kindness. I can teach being a good neighbor and community member. I can teach saying hello to the people we meet as we continue to go out into the community. I can teach real and meaningful conversation with the people we meet on the bus and down the street. I can teach answers, even to the hard questions. I can teach questioning even when there aren’t any answers. I can teach living simply. because it’s all connected to how we treat one another. I can teach knowing the mail carrier, the grocer, the hardware clerk, the baker all by name. I can teach conflict resolution. I can teach open mindedness. I can teach a sense of what’s fair and good and right. because others don’t have any more time. Because moving forward starts with even the smallest steps of the children who enter my home each day. I move forward knowing they are growing up, learning from me. Someday they will be old enough to be on their own. and that this makes a difference. This entry was posted in Uncategorized and tagged Baltimore, Emily Sonnermann, Ferguson, poem, racial disparities, Tony Robinson. Bookmark the permalink.